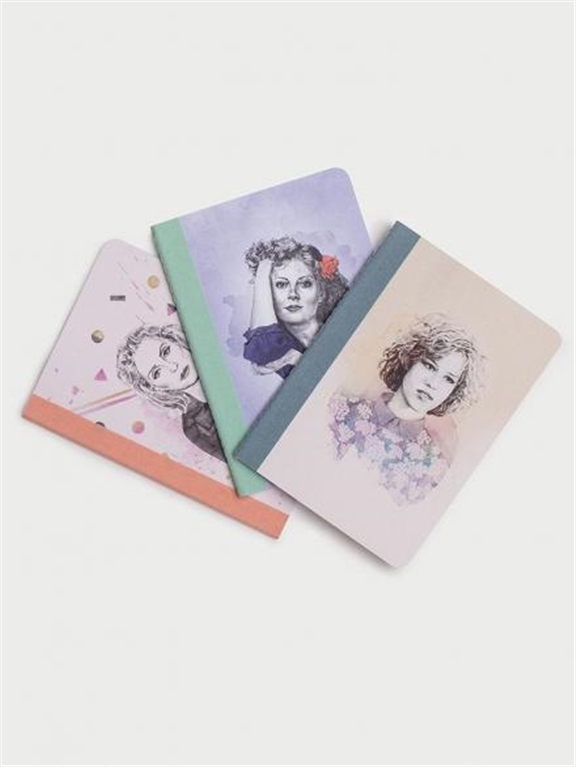 a set of three mini, lined jotters featuring sketches of some of our biggest lady crushes, including molly ringwald, debbie harry and susan sarandon. each notebook is fabric-bound, with illustrations by cassandra urquhart. they’re the perfect on-the-go size for recording your thoughts and inspirations, wherever you are. part of the pretty useful paper by frankie range.